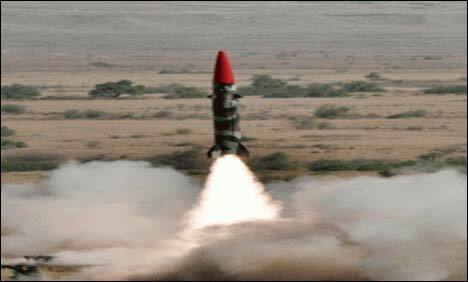 Rawalpindi: Pakistan has successfully test-fired long-range Hatf IV (Shaheen 1A) ballistic missile in the Indian Ocean, Geo News reported Wednesday. According to Inter Services Public Relations (ISPR), the missile’s range and technical parameters have been improved while it is capable of carrying nuclear warhead. Soures tell us that the missile has a range of 700 KMs. This entry was posted in News and tagged Agni V, Hatf IV, India, ISPR, Nuclear missile, Pakistan, Shaheen, Shaheen 1A, Shaheen missile, SPD. Bookmark the permalink.